I have always dreamed of having a big enough backyard to host dinner parties for my family and friends. Right now, there is not much I can do by way of entertaining guests in my tiny mid-rise condo with an even tinier balcony. But in the meantime, I am perfectly content soaking in inspiration from this beautiful backyard fête featuring oysters and rosé. 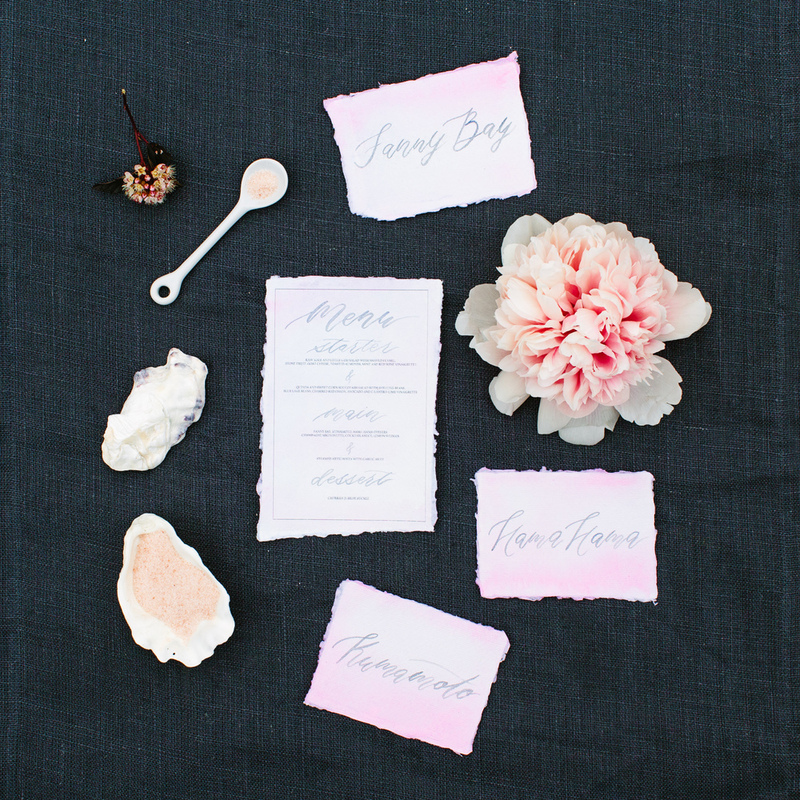 Hand lettered place cards add a personal touch to an intimate dinner party. I gave these Silk and Willow place cards a light blush watercolor wash. I know I have said this before, but the deckled edges and texture of Silk and Willow handmade paper really adds a soft, organic feel to custom paper goods. 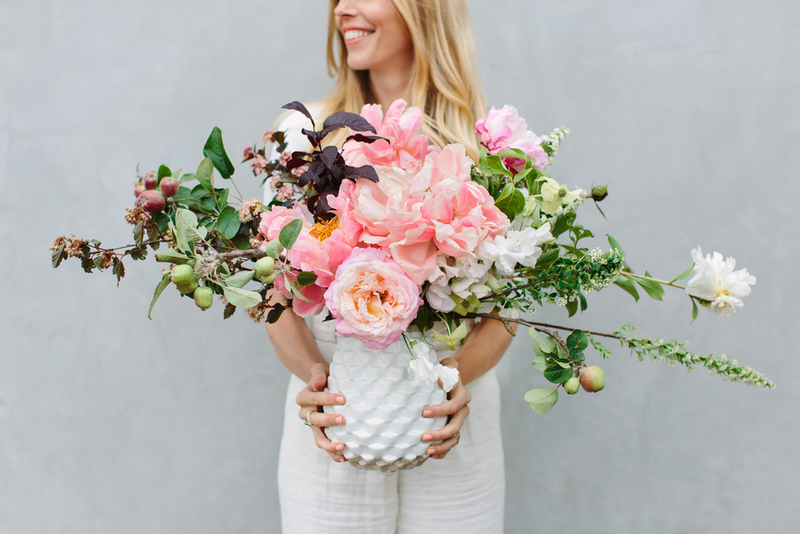 Flowers can really set the tone for a party, and these gorgeous florals by Honey and Poppies tied everything together perfectly. Of course, no backyard party is complete without a game or two. Croquet, anyone? I absolutely love this rosé bar set up, especially the marble pastry slab and the hanging blush ombré sign. Food is the most important (at least, for me) part of a successful dinner party, and the food offerings here by Whoa Nelly look delicious. More hand lettered goodies by yours truly. This time, oyster name cards and a menu. And there you go, friends. 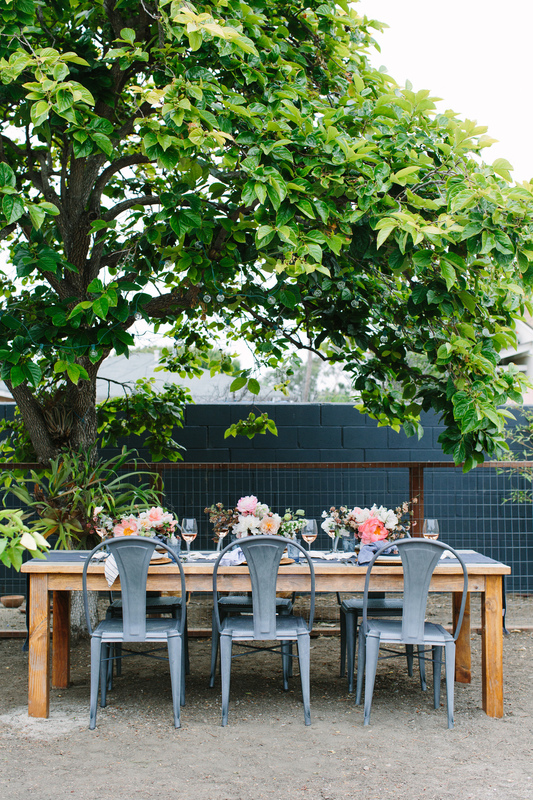 All the makings of a great, outdoor dinner party with your closest friends. 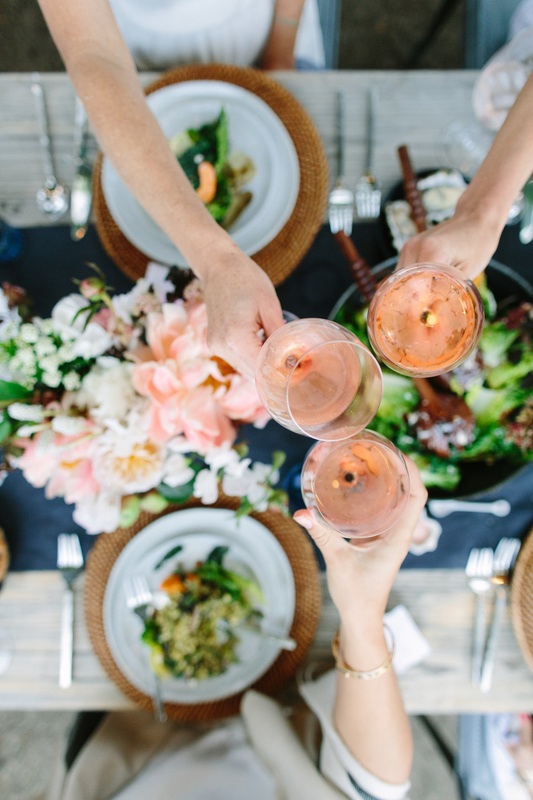 I hope these images inspire you to host a dinner party of your own this summer! This styled shoot was curated and styled by the talented ladies at 100 Layer Cake in collaboration with Crate and Barrel. They have an amazing sweepstakes definitely worth checking out!